Have you seen East Mesa lately? There are new construction subdivisions opening almost everywhere you look. Some of it looks like a lot of big, heavy, yellow equipment working a field putting in curbs, sidewalks, streets and street lights. It’s called infrastructure. Some of it looks like street widening. You see, the city passes the cost of widening the streets on to the builders. Some of it is a little more advanced with concrete slabs and 2×4 studs already in place. It’s refreshing to see the community advancing after several years of stagnation, isn’t it? 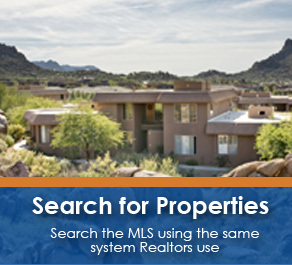 It’s great for Mesa AZ real estate values. So, it’s appropriate that I write my blog this month about new construction Mesa AZ and some of the builders, prices and floor plans available. It’s important that local homeowners and blog readers know about Mesa new construction. Whether you’re a potential new home buyer or not doesn’t matter because the biggest determinant of resale home values is the current cost of new construction. So, existing homeowners, cheer on the new construction in Mesa AZ because it helps the value of all homes for sale in Mesa AZ! If you’re in the market for a new home, it makes sense to have a knowledgeable, local Realtor who really knows the market represent you. If you’re selling an existing home, it’s important you hire a local neighborhood specialist who knows the new and resale competition. I’m not talking about the part time Realtor from across town who exercises with you at the local gym. As you read on, you’ll discover why you need a real, East Mesa neighborhood specialist! You can read about my knowledge, experience, education and passions here. The most important reason you should use a Realtor is because the Realtor’s representation costs you ZERO, NOTHING! Builders add the cost of the Realtor’s commission into their base costs; but, they do not discount the price of the home if you don’t use a Realtor. They put that extra profit right in their hip pocket; and, they like having their well-trained, sales specialist negotiating against a non-professional with limited knowledge. The catch is that the Realtor must accompany the buyer on their first trip to the subdivision. The Realtor MUST register the client. Builders make their base price as competitive as possible with all the other builders up and down the street because buyers visit all the subdivisions and shop their base prices. However, once a buyer selects a builder and floor plan, the builder considers the unrepresented buyer as easy pickings for expensive upgrades. It’s the same as when you purchase a new car. Most of the automobile dealer’s profit comes in the finance manager’s and upgrade salesman’s office. A knowledgeable Realtor knows what the other new construction builders charge for upgrades; and, most importantly, the upgrade prices suddenly become negotiable when they’re challenged with good, solid comparable prices. Also, the builder almost always wants to sell you their mortgage program. They call it one-stop-shopping. Do they offer first time homebuyers buyer incentives? Their financing may or may not be a good deal. Your real estate professional should know … one more good reason for hiring a neighborhood specialist. Bella Via Maestro is located SE of Signal Butte and Warner. Pulte Homes is building 5 model homes ranging in size from 1897 – 2693 sq.ft. and in base price from $234,490 – $292,153. Upgrades cost more. They feature a soon-to-be-built Dog Park, Central Fountain, Miles of Winding Pedestrian Walkways; Exercise Stations along Community Pathways, an Amphitheatre for Community Gatherings, and Two Children’s Themed Playgrounds. Lehi Crossing is located in North Mesa in the 85213 zip code. It’s North of McDowell and South of the 202 Freeway. It has three sections – The Passage Collection, built by Taylor Morrison, offers 5 model homes ranging in size from 2478 – 3958 sq.ft. and in base price from $334,990 – $496,465. Upgrades cost more. Monument Ridge at Lehi Crossing is built by William Lyon Homes. They offer 6 different models ranging from 1468 – 3212 sq.ft and in base price from $262,181 – $346,140. Upgrades are extra. Settler’s Landing at Lehi Crossing is also built by William Lyon Homes. They also offer 6 different models ranging from 1284 – 2296 sq.ft. and in base price from $225,900 – $277,616. Upgrades are extra. Sunland Springs Village by Farnsworth Homes, Inc. is a Mesa 55+ community located south of Baseline Rd and east of Signal Butte. It’s one of the nicer Mesa Arizona retirement communities. They offer condos, townhomes and single family homes ranging from 1064 – 2315 sq.ft. and in base price from $165,650 – $279,900. Of course, upgrades are extra. Highland Ridge by Standard Pacific Homes, located at Signal Butte and Elliot offers two sections. There’s the Meadows and the Meadows II. The Meadows is sold out. The Meadows II has 7 different model homes ranging in size from 2068 – 3428 sq.ft. and in base price from $278,990 – $325,490. Torino Village by Richmond American Homes is located near Brown & Power. They offer 5 model homes ranging in size from 1720 – 3097 sq.ft. and in base price from $223,990 – $358,818. Upgrades are extra. Trovita Estates Pinnacle Collection by Taylor Morrison is also located near Brown & Power Roads. They’re offering 3 model homes ranging in size from 4294 – 5798 sq.ft. and in base price from $521,990 – $679,312. Upgrades are extra. Finally, Wagon Trail at Lehi Crossing by William Lyons Homes is located at Val Vista & McDowell Roads in Northern Mesa offers 6 model homes ranging in size from 1,373 to 2,784 sq.ft. and in base price from $243,067 – $316,576. Upgrades are extra. This blog tells only some of the information. Would you like to know more about the communities, see the floor plans or elevations? Would you like to see the plat map for the subdivision or a view of surrounding amenities? Would you like to know what spec homes are available for sale at what prices? Consult your local neighborhood specialist … Larry Mann, Relentis Real Estate, 480-797-4439; Larry@MyAZRealEstateBroker.com. He knows all about Mesa Arizona real estate! Larry’s tag line is: Larry Mann Can, Your Can Do Real Estate Mann. What does that mean to you as a buyer or seller? You can read my Can Do promises here. Next month I’ll write about opportunities in Mesa foreclosed homes. Any investors out there?